I thought this would be a cheaper material, but it’s actually pretty nice. Although, the hoops are bigger than I expected, but I don’t mind that. WELL, you know what they say. 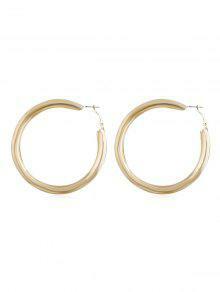 The bigger the hoops, the bigger the fashion statement! !